Adding a new exterior space or improving an existing one is a great way to add a place to where you and your family can enjoy the outdoors. In addition to adding a great space, a paver design can improve the value of your home. A paved walkway can add a unique design aesthetic to your front yard, paving a driveway can add unique curb appeal, and a paver patio in the back yard adds great space for grilling, dining, and entertaining. 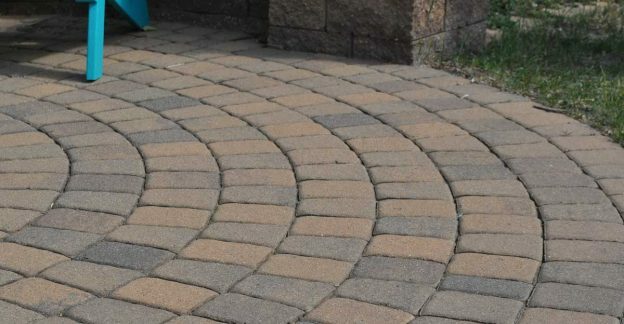 There are many paver colors and options available and several considerations to keep in mind when designing your new space. 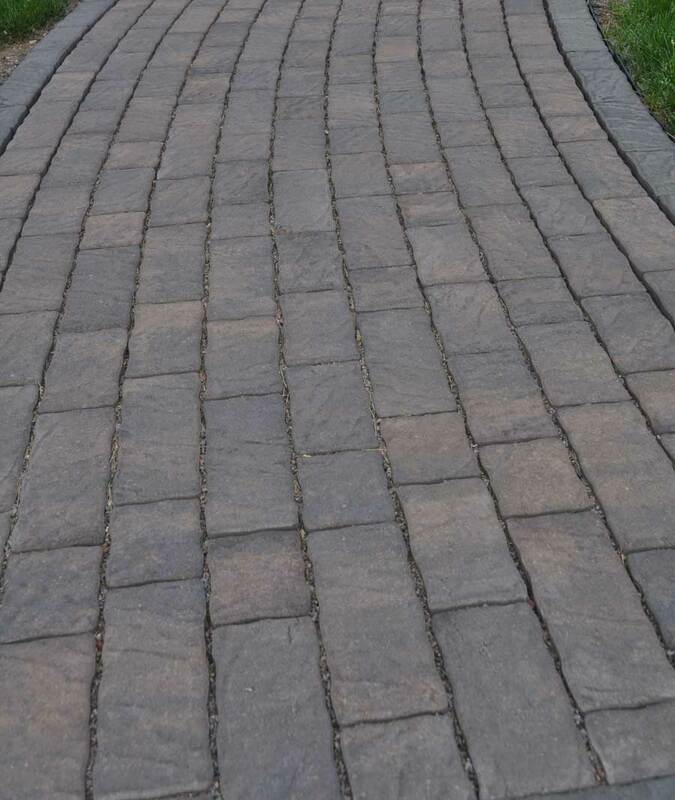 Laying a paved driveway is a great alternative to the traditional poured driveway, but many may be wondering “how do I pick the right color and style?” There are three main types of paver: natural stone, brick, and concrete. And between those three types, there are endless color and style options because all three types of pavers come in different sizes and shapes. Given all of these options, it’s imperative to know what you’re looking for when you are ready to start your project. Because cost is always a factor, it’s a good idea to measure your space and calculate your paving materials and costs before you launch into the design process. The most important factor in your paving project is picking the type of paver you want. Pavers come in three different materials: natural stone, brick, and concrete. Natural stone gives an earthy aesthetic, but it can be expensive. However, they’re not ideal for high traffic areas because they can break. Brick is a strong and stain resistant paving material. These days, bricks can be made from other materials like clay or dyed concrete. Concrete is the most affordable paver option, and it’s strong and durable. It comes in many styles and colors and with interlocking patterns, and you can seal it to retain its color. When it comes to picking color, the best way to go is to keep it simple and pick a color that will accentuate but not distract from your home. When picking colors, you have to remember that different colors express different emotions. If you want to give your home a relaxing feel, natural grey tones would be best, while if you are going for something rustic, there is more freedom to have natural tumbled pavers. Picking lighter colors will always make your space feel larger than it is. When it comes down to picking a paver size, remember that the larger the paver, the smaller the space looks. Larger pavers can be perfect for a backyard or patio space, but they can make a front porch or walkway feel small. For a driveway or front walkway, smaller pavers make the space look larger and have more design flexibility. Keeping that in mind, your paver should match the size of your space. Also make sure that the paver can handle the weight of the traffic. Smaller pavers are better for driveways where heavy vehicles will be driving over them while larger pavers are susceptible to cracking. Another important decision that has to be made before laying your pavers is the pattern. There are a multitude of paver patterns to choose from. Some are simple, while other patterns have three and four different sizes and colors. If you are going for a modern look, you want to keep the design simple, but different sizes and colors can give a natural, rustic feel. When doing the job yourself, you have to remember that there are always extra costs and tools besides just the pavers. To properly install pavers, you will need a level, rake, wheelbarrow, and masonry saw, among other things. It could be cost effective to hire a contractor for your paving job. Whether you’re doing it by yourself or using a bonded contractor to lay paving on your property, you’re making a great choice and improving the value of your home significantly. In order to be informed about costs and materials for your project, it’s important to take good measurements so that you can get an accurate estimate either from a contractor or from your building supply store. Our helpful construction calculators can help you design the perfect paver project for your property, as well as many other home improvement projects. Next Step – After selecting a design it’s time to start laying out your new patio or driveway. Learn more about how to lay out a patio to make sure you choose the right size and layout for your home. Project cost: moderate cost. On a scale of 1 to 5, the cost level is 3/5.